This chapter describes how as world is switching from wired communication to wireless communication, the need of a wireless sensor network (WSN) is increasing. WSNs became very popular due to its wide applications. A WSN is a network of small-in-size sensor nodes which are densely deployed for monitoring a chosen environment. In WSNs, each sensor node detects data and sends it to the base station. These sensor nodes have four basic duties, consisting of sensing, computation, transmission and power. Due to the small size, these sensor nodes are more constrained in terms of computational energy and storage resources. Energy awareness is also an essential design issue for routing protocols in WSNs. The focus of this chapter is to provide an overview of WSNs. 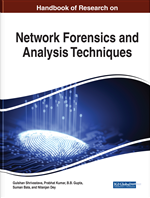 In addition, this chapter describes the components of WSNs, its challenges and the classifications of WSNs. This chapter compares the results of LEACH, SEP and TEEN protocols. In the start of the computer era, a single computer is operated as stand-alone system. Earlier there was no way to connect to other computers. So, whenever there is a need of transferring a file to other system a storage medium was required for example, floppy disk. Organizations can much more efficient & productive manner if they found the ability to share information in overall organization. Computer networks provide the solution for almost every organization. For the setup of a network, every organization has two options. One is a completely wired network, which uses networking wires to connect computers, the other is a wireless network, which uses RFs (Radio Frequencies) to connect computer. Wireless Networks are providing mobile communication in between the organization node. Rather than this lots of organizations are using a combination of both wireless and wired networks (Rathee et al., 2016). The use of wireless sensor networks (WSNs) is increasing day by day as it has low power radios and better sensing capability. WSNs are used in many applications such as smart transportation, health monitoring, battlefield surveillance, weather forecasting, Internet of Things (IoT), etc. WSNs are a set of many sensor nodes. The sensor nodes sense the data, e.g. temperature, humidity, etc., from the environment and then process the data. This processed data is aggregated by the sensor nodes and transferred to the Base Station (BS). In recent years the implementation and design of WSNs have become a popular research area. The area of WSN is a fast-growing field in the scientific world. WSN consists many small sensor nodes to monitor the environment activities like temperature, pressure, fire etc. Sensor nodes in WSN have limited power so many routing techniques focus mainly on power conservation. WSN is an application specific technology like temperature sensor nodes only measure temperature and pressure sensor nodes measure pressure. Wireless sensor networks consist of network of sensor nodes which are actually deployed randomly in the field and left unattended. Sensor nodes of the network since the environment and send the data to the base station which store all the measured parameters and provide the parameters to the end user. Sensor nodes are the small devices also known as motes. In the market, there are many motes available like NOW, Dot etc. Sensor nodes have transceivers to gather information from its environment. Sensor nodes have some constraints such as battery power, communication range, computation capacity and memory. The sensor nodes die slowly due to the energy constraint which makes the network less dense. WSNs can be deployed in harsh environment thus it makes many sensor nodes faulty or inoperable so WSNs need to be fault-tolerant. The network topology of WSN is continuously changing so it is difficult to replace faulty sensor nodes by new sensor nodes. The implementation of energy efficient routing protocols for WSN is the appropriate solution to solve this problem. In Figure 1, the architecture of WSN is shown. The area where sensor nodes are deployed form a WSN. Sensor nodes are generally scattered in a sensor field and these sensor nodes sense the environment to gather data and after that it transmit the sensed data to base station (BS)/sink node. The user can access the sensed data via internet or satellite. Denial of Service: DoS is a type of attack on a network that is designed to disrupt the services of a host connected to the internet. Wireless Sensor Network: WSN is a network of small size sensor nodes which are densely deployed for monitoring the environment. Quality of Service: QoS: is the measurement of the overall performance of a service, such as a computer network. Heterogeneity: Heterogeneity is the state of being different in character or content.